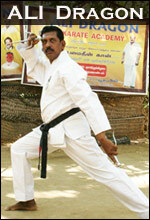 The original ancient name of the Eruvadi was "AIR PAADI". During the ploughing season in the paddy field, the people used to sing songs while ploughing that is why it was called as "AIR PAADI'. But when time passed it was became "AIR VAADI" as it is easy to pronounce. During the period of British Rule the district collector could not pronounce Airvaadi properly. 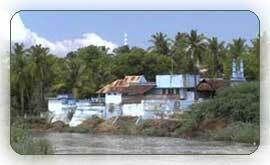 They used to call "ERUVADI" for example Thutukodi is called as Tutcorin and Thirunelvelli as Tinneveli. So in English it has became "Eruvadi". Presently our politicians call as "ERUVAI". 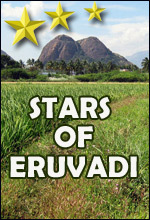 The history of Eruvadi can be traced back to 1000 to 800 years. 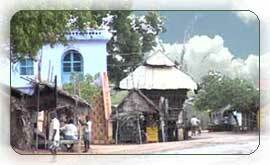 The original Eruvadi village was situated on the southern bank of Nambi River, adjoining the temple and the surrounding paddy fields. The small bushed wilderness on the northern side of Nambi river was called "PULIYUR" (at present 1st street to 9th street area). 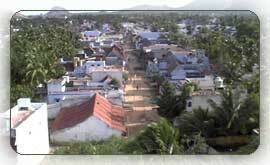 The adjoining village is called "PULIYUR KURICHI" which is next to Eruvadi. 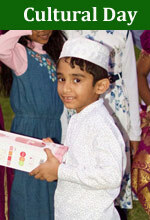 When the time passed by; Islam started to spread at Eruuvadi. Our ancestors felt the need for wider area ( new place ) to construct mosque for praying and new houses to live. They started to spread to Puliyur on the north side of the river. They planned everything in a systematic way, so that all the streets will end at the river bank. and constructed mosques facing Kibla (This is a place in Mecca- Saudi Arabia where Islamic people face during their prayers). Then created Panchyat Chavadi (where people gather to discuss everything) to discuss and solve the problem, disputes and hear any grievances of the village peoples. We should be proud of our ancestors. They were very good in architecture and town planning ( all the streets ends at the river). Our Earuvadi has got a name as a beautiful township situated on the river bank. 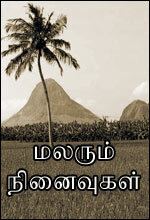 (Tamilakatil aathupadukayil amaintha alakana voor - Ref: Tamilakatil Islam). Our ancestors followed Islam and Islamic principles very strictly, they prayed five times a day regularly, because of this they were called "Anju vannathar" by other people (who followed other religions). By this you can imagine how they followed Islam. (In Tamil literature "vannam" meant for praying god regularly). So the newly settled place on the north side of "Puliyur" is called as "PULIYUR ANJUVANNAM JAMATH", as time and years passed by it is shortened and called as "PULIANJUVANNAM". The above town planning and settlement can be traced back in between 400 to 700 years. There is a "kalvettu" near the Mimber's pillar in the Nadumuhallam 7th street mosque and the "kalvettu" at 6th street which shows the boundaries of Eruvadi (an electrical transformer is there at present) are the proof of the above. (Also refer: Tamilakathil Islam). Our ancestors were excellent not only in cultivation but also in trade and finance. They spread to near by towns and other countries due to trading and had good connections. They developed weaving industry in Eruvadi. The following proves the patriotism of our ancestors. They joined with the Army of King Pandian Kulasekaran and went to fight with Cheran King and won the battle near "PANAKUDI" when Cheran King comes to occupy Pandian kingdom.